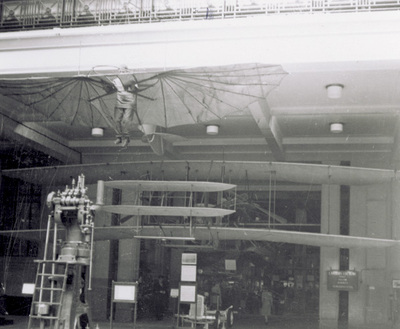 Interior view of the Science Museum showing the Wright 1903 Flyer hanging in a gallery. The photograph was given to Orville Wright by E. A. Deeds in 1947.